Barsham Barns01328 821744work Self-cateringBarsham Barns provide the perfect setting for your country break; from a cosy cottage for a romantic weekend to a magnificent barn conversion where family or friends can gather for a holiday or special party. The barns are set in an idyllic little river valley, close to the beautiful north Norfolk coast. Barsham Barns provide the perfect setting for your country break; from a cosy cottage for a romantic weekend to a magnificent barn conversion where family or friends can gather for a holiday or special party. 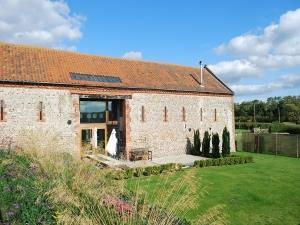 The barns are set in an idyllic little river valley, close to the beautiful north Norfolk coast.